While discussing exotic or unusual ingredients, a friend of mine recalled kodampuli. She practically drooled over its sour taste. Being from Kerala myself, I was intrigued. I had never tasted it in my life. She told me that it is usually used to prepare fish dishes. Being a vegetarian, my curiosity diminished considerably. But when I probed further, I got to know that kodampuli is a souring agent loaded with medicinal properties. It is also used to prepare vegetarian dishes. So what is kodampuli? Kodam means pot and puli means tamarind in Malayalam describing the shape of the fruit. Kodampuli (Garcinia gummi-gutta) is also called Garcinia cambogia and Malabar tamarind. It is often confused with kokum, but is, however, quite different. In the case of kodampuli, the pumpkin-shaped fruits are yellow in colour and it is more of a backyard crop. It is the rind of the mature fruit that is dried naturally over a number of days which is used. Kodampuli rind has a fruity, muddy or earthy flavour when eaten raw. When dried, it tastes very sour and leaves an aftertaste akin to jamun. The best part of kodampuli is that unlike tamarind, there is no need to extract the pulp. It can be simply added to the dish; the strips are allowed to cook and disintegrate in the dish itself. 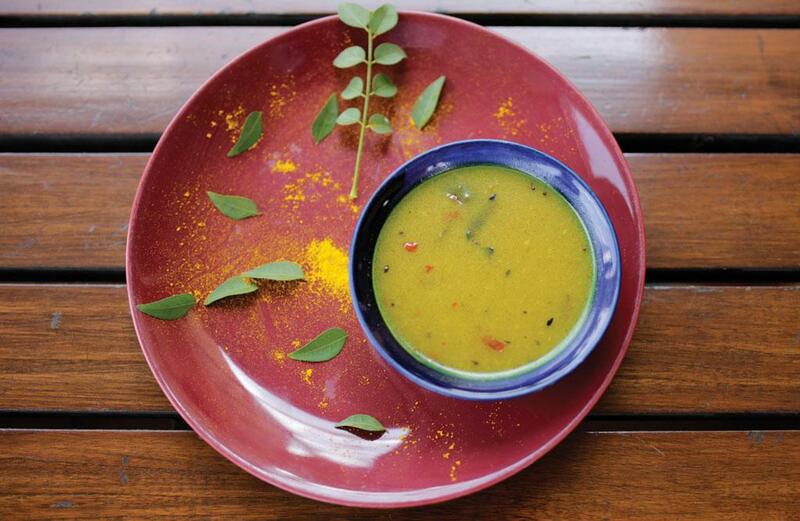 Rasam prepared using kodampuli is said to cure fever and cold. Kodampuli is very easy to use too. A small piece, soaked in water for some time, can be added to the dish and be allowed to dissolve along with other ingredients. 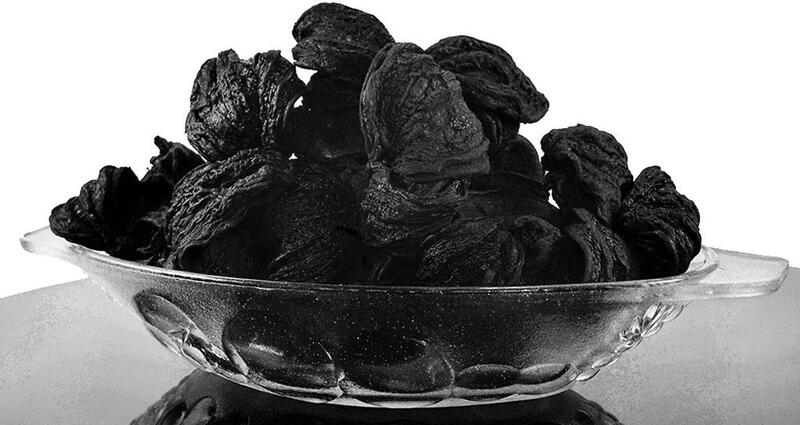 Many people use kodampuli as an alternative to tamarind. “However, except for a few spice processors, who extract the hydroxycitric acid (HCA), its commercial use is still limited. Kodampuli is popular in central and southern parts of Kerala,” says T John Zachariah of the Indian Institute of Spices Research, Kozhikode. It is also widely used in Sri Lanka to make fish curries. Kodampuli is widely promoted as a weight loss supplement. HCA, an organic acid component of kodampuli’s fruit rind, has anti-obesity properties and reduces food intake. Various molecules isolated from HCA in the fruit rinds have body trimming effects, and are a valuable commodity for health practitioners and companies. According to a study published in the journal Fitoterapia in 2015, kodampuli can be used to treat bowel problems, intestinal parasites and rheumatism. It has also been used as a traditional remedy for digestive disorders. So if it is loaded with health benefits, why is it not used regularly in homes? There are many reasons. Kodampuli costs about Rs 285 per kg, compared to tamarind, which costs about Rs 50 per kg. “The other reason could be that it has certain components which result in appetite loss,” says Zach-ariah. Home cooking is seen from the view-point of increasing appetite, and kodampuli’s appetite-killing property could be one of the reasons why it is not used widely in day-to-day cooking. Moreover, studies have pointed out that HCA impacts the production of fatty acids and cholesterol which may directly influence the production of sterols (organic molecules), thus restricting the production of steroid hormones. That’s why it is not recommended for pregnant women. Regular consumption may have repercussions for diabetics too. Also, the possible toxicity associated with the regular use of dietary supplements made from kodampuli extracts has raised concerns among health practitioners. However, it has preservative properties and remains an integral ingredient in many of Kerala’s kitchens. Wash kodampuli and soak it in lukewarm water for around 10 minutes. Add some oil in a pan and shallow fry the onions with jeera and coriander seeds, pepper and red chilli. Grind this to a fine paste. The kodampuli would be disintegrating by now. Pour the paste into a pan with a little more water. Add turmeric powder, salt, jaggery and asafoetida to it. Let it boil for a few minutes. There is no need to filter kodampuli water like tamarind or boil till the raw smell goes. Once it begins to boil, add the paste. Let it boil for a few minutes more and take it off the fire. In a small wok, add a spoon of oil; add mustard and jeera seeds. Once it starts spluttering, pour the boiled ingredients. Garnish with curry leaves. The rasam is ready.